On my last trip to Bachman’s (my favorite local garden center), I was thrilled to discover that they had ladybugs for sale! 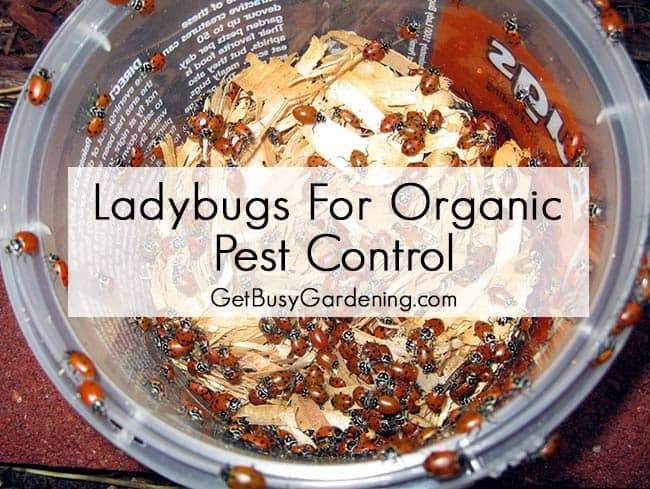 Ladybugs are one of the best natural predators and are very beneficial to our gardens. They are one of the good bugs. 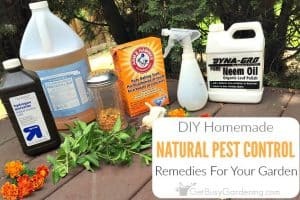 My garden was infested with aphids last year, and I need all the help I can get to fight them naturally. 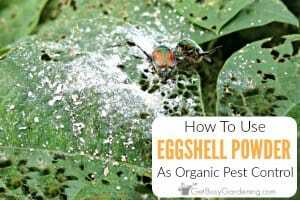 Most people I know hate using pesticides, and I do too. 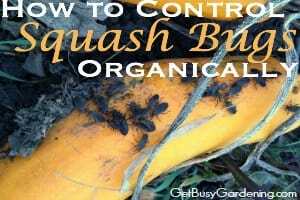 The biggest problem with pesticides is that they kill the good bugs right along with the bad bugs. In fact, some of the bad bugs are resistant to pesticides, so essentially what we’re doing by spraying pesticides is killing the good bugs and helping out the bad bugs. The best thing we can do is to let nature take its course and recruit the good bugs to help us out. So, $11.99 plus tax bought me a bag of 1,500 ladybugs. I couldn’t wait to get home and release them. You can also buy ladybugs on Amazon! Releasing the ladybugs around my yard was a bigger task than I expected. You can’t just open the bag and let them all out in one spot. They’re territorial so if you release them all in one spot, they will just fly away and find their own spot. The instructions said to water the yard first (because the ladybugs will be thirsty) and release the ladybugs in low light conditions, preferably in the evening. It didn’t say how many to release in one spot though, so I winged it. 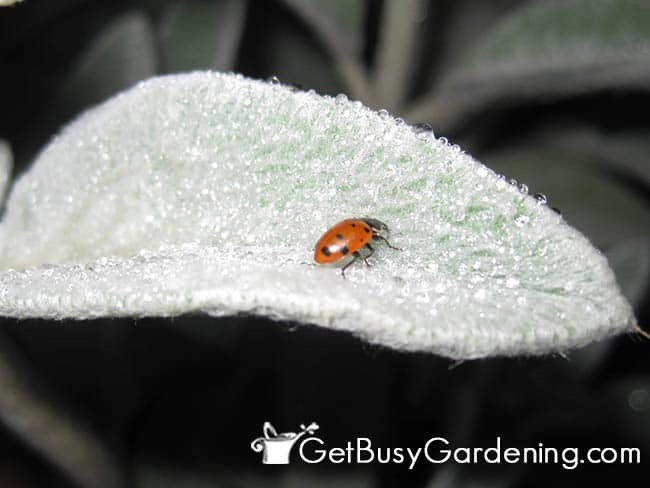 At first, I was releasing the ladybugs one at a time and making sure I put each one on a plant leaf. It was pretty amazing to watch them, as soon as they set foot on the leaf, they would head straight to a water drop and drink. I found this fascinating; I’ve never seen ladybugs drink before. I was easily distracted by this process and before I knew it, I would look down and there would be 10 ladybugs crawling up my hand and arm. I tried not to be squeamish when I was release the ladybugs – but when you look down and a bunch of bugs are crawling up your arm at a rapid speed, it’s really hard not to swat at them, then drop the bag and run away screaming. I was able to control myself though. After about an hour, I decided to start dropping a few ladybugs at a time to try to speed things up. This was easier said than done since the ladybugs were crawling on the mesh bag and wouldn’t just fall off when I shook it. So I was trying to carefully grab a few out of the bag at a time and drop them around the garden. By the time it got dark, the bag didn’t seem like it was much emptier than it was when I started, so I gave up for the night and put the bag of ladybugs into the refrigerator. Apparently if you put them in the fridge, they fall asleep and you can store them in there for up to two weeks. Amazing! No need to store them that long around here though. The next night, I spent another hour releasing the ladybugs around the yard. Whew, that seemed like it was a never ending bag of ladybugs. But I was able to finish the task, and my yard is now home to at least 1,500 ladybugs (and of those 1,500 ladybugs that I spread out in my yard, I felt like at least 100 of them were crawling on me all night). I’m sure the ladybugs have decided to spread out, and some have flown to the neighbors’ yards. I sure hope that most of them will stay in my yard; there’s definitely plenty for them to eat out there. Now it’s time to let nature take its course, I can’t wait to see if it makes a difference. 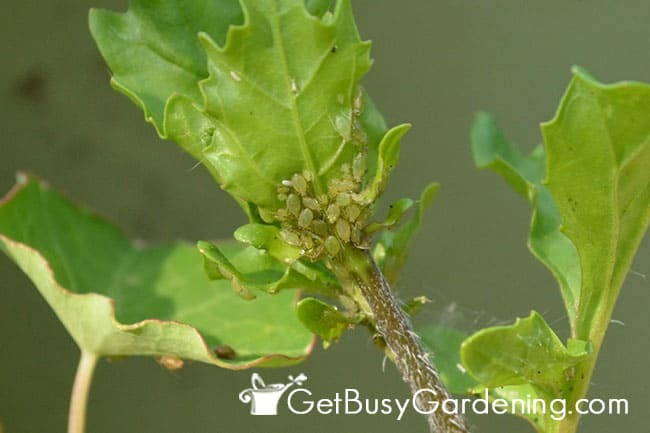 Great and very informative post … and you make me feel it … dozens of "voracious Ladybugs" around me … I can hear them: crunch, crunch, crunch. Any update on your experiment? Hi Scented Leaf! Thanks for you nice comment! The ladybugs have been awesome! I had a terrible aphid problem before I released these ladybugs. The problem went away, of course. 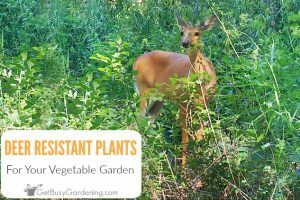 I released more last summer, and again, my aphid problem was gone. 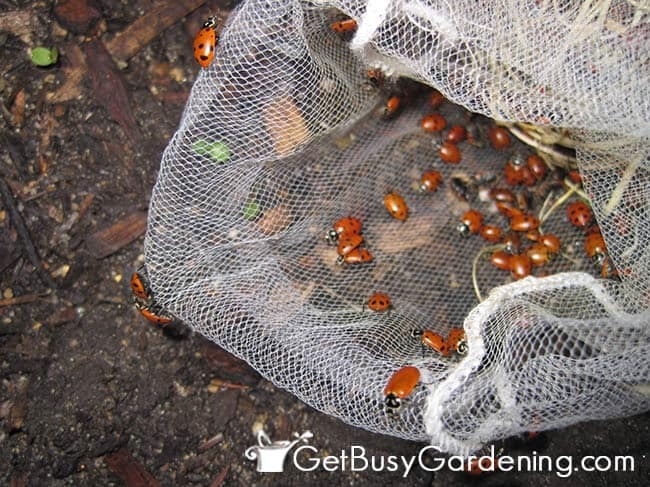 I will definitely continue to release ladybugs in my gardens every year. I highly recommend it! Great, thanks for the comment! 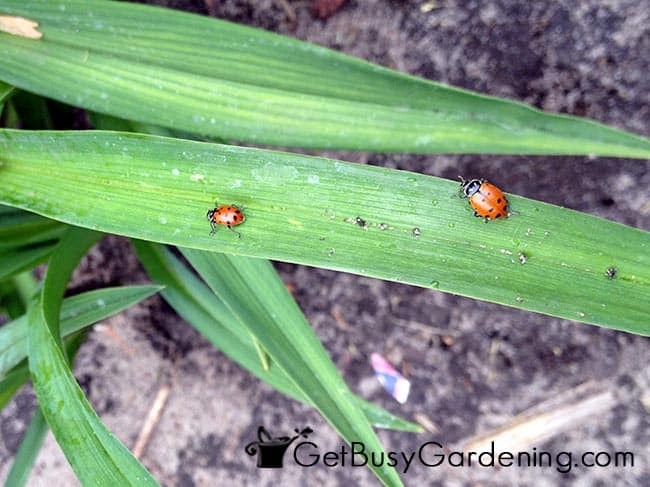 Hope you can find some ladybugs. You’re welcome. Yes, it would be a fun thing for kids to help with! 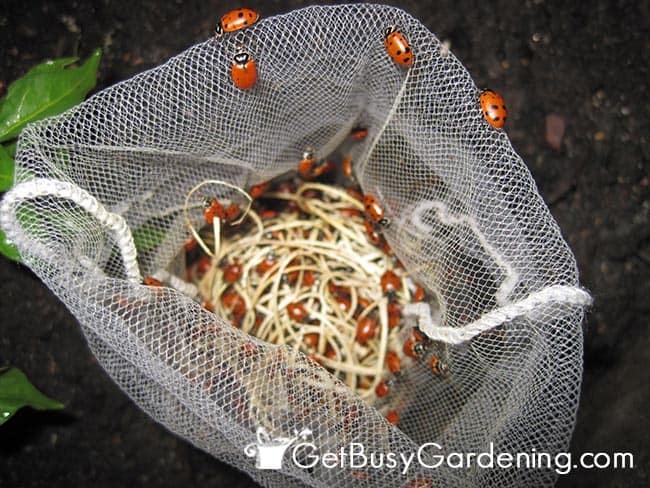 We love the idea of using ladybugs as a garden helper! Thanks for linking up at Welcome Home Wednesdays! Wow, such a informative post. Thank you for sharing with us at #HomeMattersParty. We would love to have you again this week.